We have seen several colorways of the Air Jordan XX8 that are covered by a shroud, but we could soon see shroud-less edition of this kick that would reveal the impressive design of the kick without the need of unzipping it. If rumors are to be believed, then we will soon see the next iteration of this shoeline from Jordan Brand that will allegedly be called as Jordan XX8 Lite. 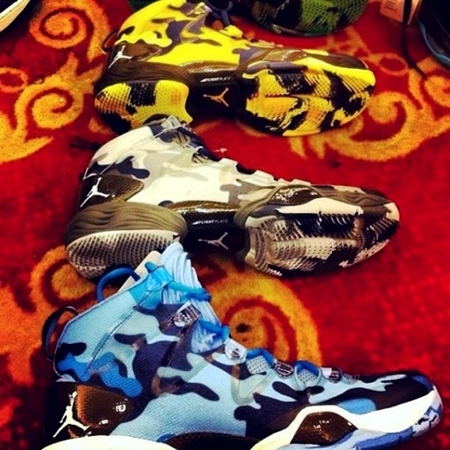 Purported image of the kicks can be seen above, showing the trademark camo look. Tell us your thoughts about this kick!